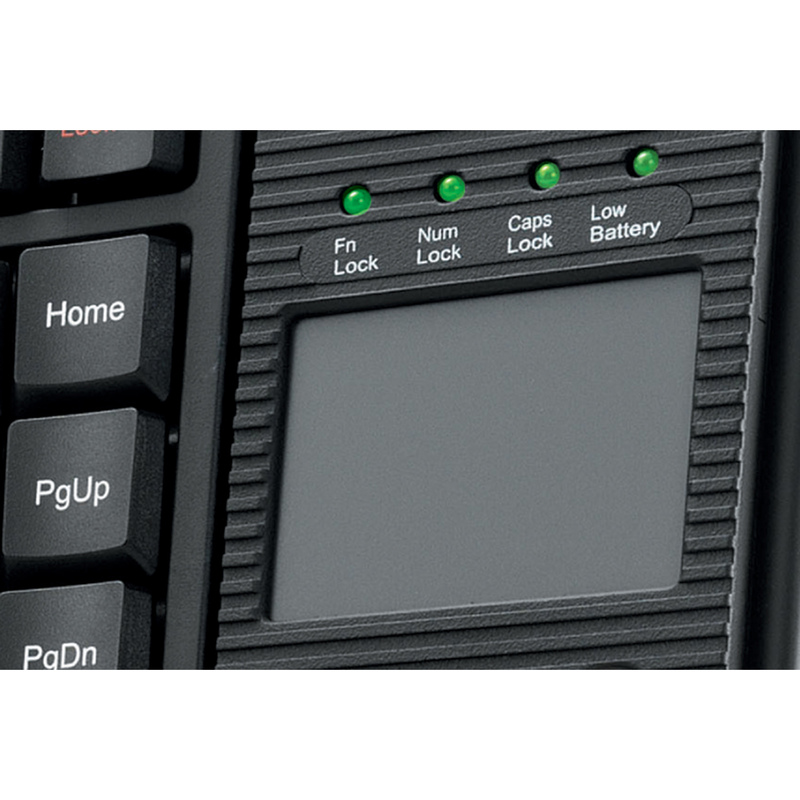 If you are looking the most cost effective, light weight with multimedia, this one is for you. 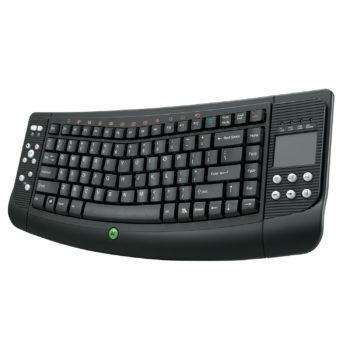 Equipped with Windows Media Center and Internet hotkeys plus a built-in touchpad. 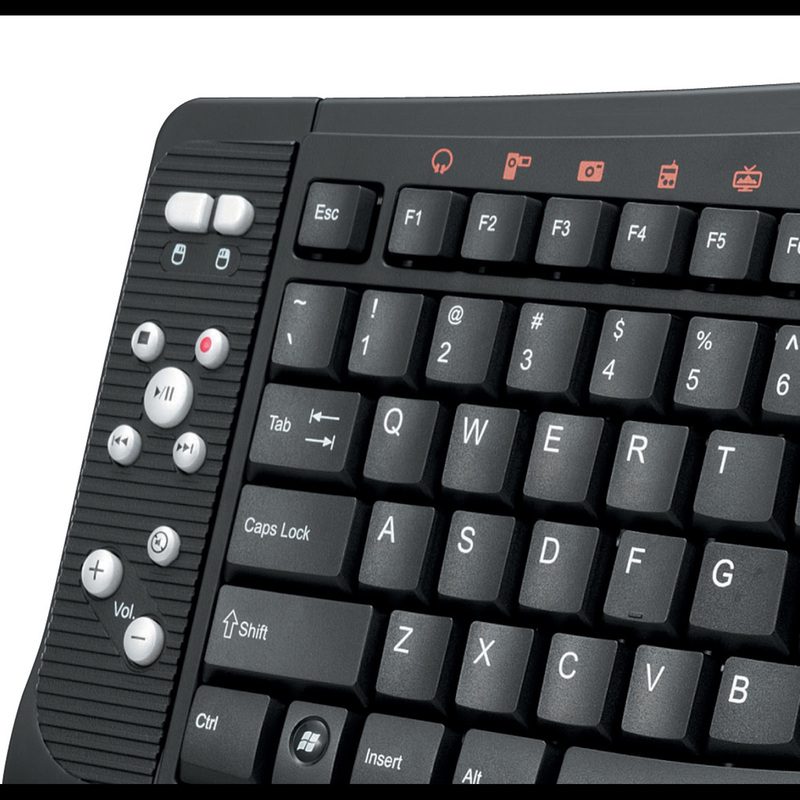 This personal wireless keyboard has a quick and easy access to MCE home entertainment with a touch of the button. This lets you operate most of the multimedia software with easy access to the control keys. 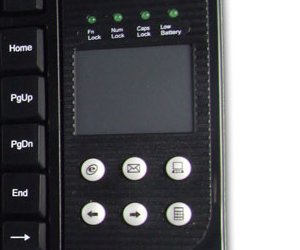 The built-in touchpad gives you a tapping and vertical scrolling features. 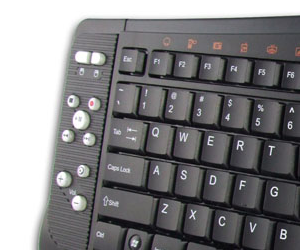 This keyboard is ideal for Windows Vista and XP with MCE users. 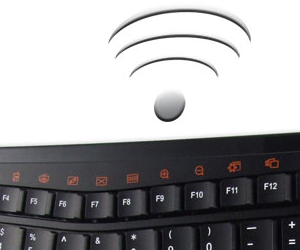 It’s wireless range is 30 feet and its stylish, which offers users mobility and comfort. Built-in touchpad with 2 mouse buttons. Ultra-stylish design with concise outline. Plug and Play No software to Install. MCE Buttons: My Music, My Videos, My Pictures, My TV, My Radio, DVD. 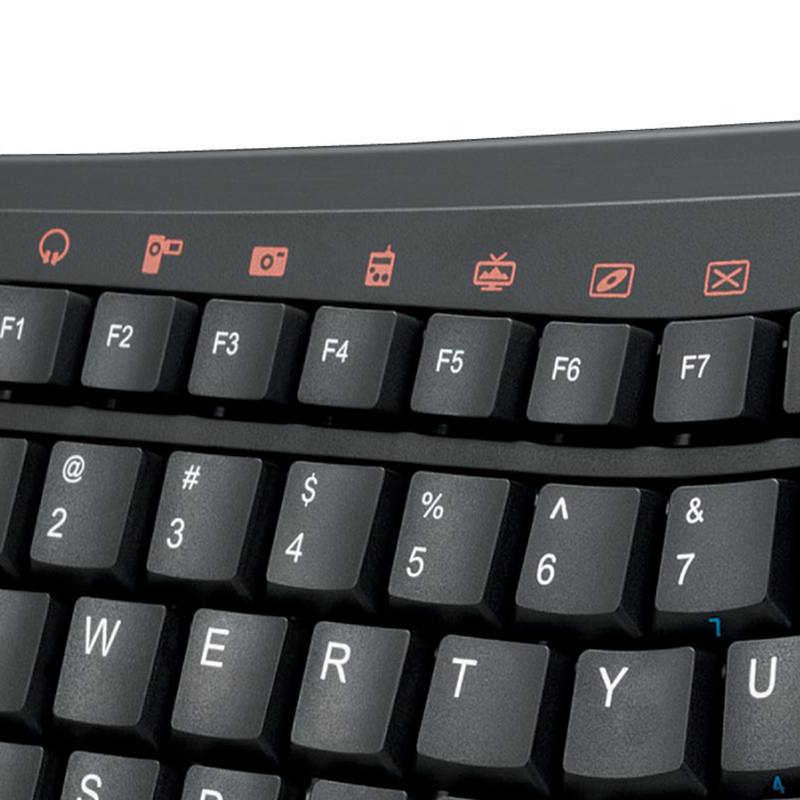 Multimedia Buttons: Hot Keys: Volume down, Volume up, Mute, Pre track, Next track, Play/Pause, Stop and Record.